We all know about the Tanushree Dutta and Nana Patekar Bollywood feud, wherein the former has alleged that the latter sexually harassed her on the sets of the film Horn Ok Please, back in 2008. Tanushree has come forward, saying that Nana Patekar touched her inappropriately during the shoot of a dance number and also tried to get physical with her off camera. In an opinion editorial piece with a leading daily, today, Tanushree spoke about how this incident scarred her and her family. 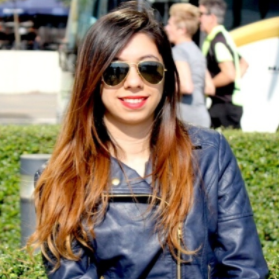 Dutta says, in her piece, "The damage that incident did to my 24-year-old person, property, reputation and mental state is irreparable." Her report also says that after she left the set with her parents, her car was attacked by goons and she was further troubled. The actress has apparently tried numerous times to talk about this incident but has remained unheard. "Later, I got calls threatening me with court cases. Our law and order system is designed to drain and harass the victim while the culprits walk free." Reportedly, Tanushree has released a statement in which she said that she is prepared to fight Nana legally. While Nana Patekar just laughed it off, many Bollywood biggies and media personalities have made statements in support of Tanushree. One of Tanushree Dutta's close friends and TV show host Janice Sequera took to Twitter with a series of tweets to narrate the Horn Ok Please incident as an eyewitness. Via her tweets, Janice backed the allegations and stood in support of Tanushree. Priyanka Chopra, Sonam Kapoor, Swara Bhasker and Twinkle Khanna and also Farhan Akhtar are sympathizing with Dutta. Recently, Shilpa Shetty also joined the gamut of celebs who are standing by Tanushree's side. According to her, such violence and pressure should not be put on any male or female and that she felt badly about Tanushree's years-long trauma. 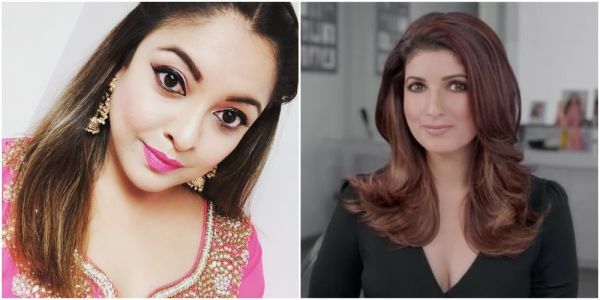 While Tanushree is elated with all the support she's getting from fellow tinseltown celebs, she seems to be upset with Priyanka and Twinkle Khanna's statement. In her tweet, Priyanka addressed Tanushree as a survivor. According to an online report, the actress said that she wanted everyone to know that she was not going to be “reduced to a survivor”. Saying that she had a name and a story, Tanushree claimed that she was not doing this for herself, but for the many others who will come forward in the generations to come. Twinkle, who also took to Twitter to relay a heartwarming message to Tanushree, has been called out by the latter. Tanushree responded to her tweet saying, "Thank you, ma'am, for supporting me but your husband (Akshay Kumar) is about to or is even shooting the film (Sajid Khan's Housefull 4) with Nana Patekar. What about that? That is the question I am asking and how much of that support is genuine because it doesn't result in any kind of disciplinary action."